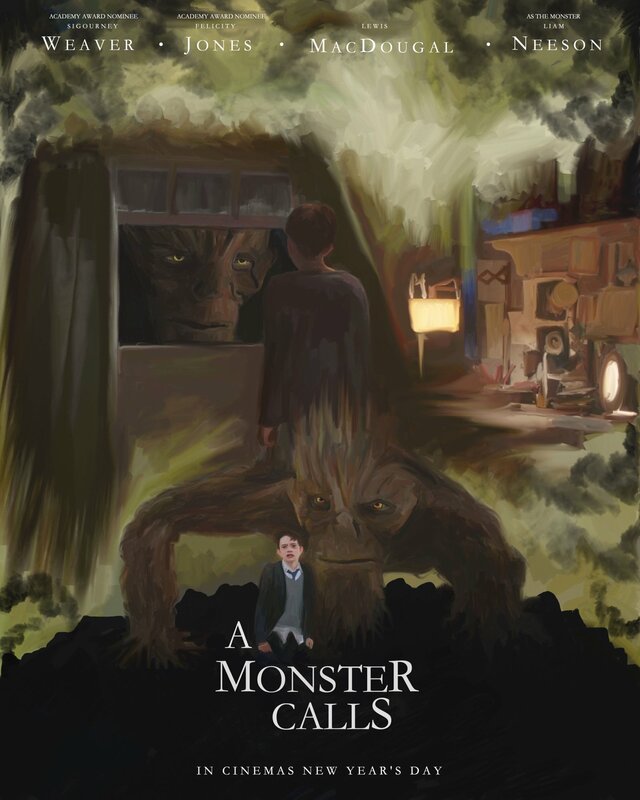 The new alternative movie poster I have worked on and entry for the posterspy contest about the movie ” A monster calls” . Movie directed by Bayona. Digital painting combined elements from the film. Produced using wacom tablet.